Keep all excess energy on site by storing it in your battery. Use the Sun’s energy during the day and the stored energy from the battery at night. 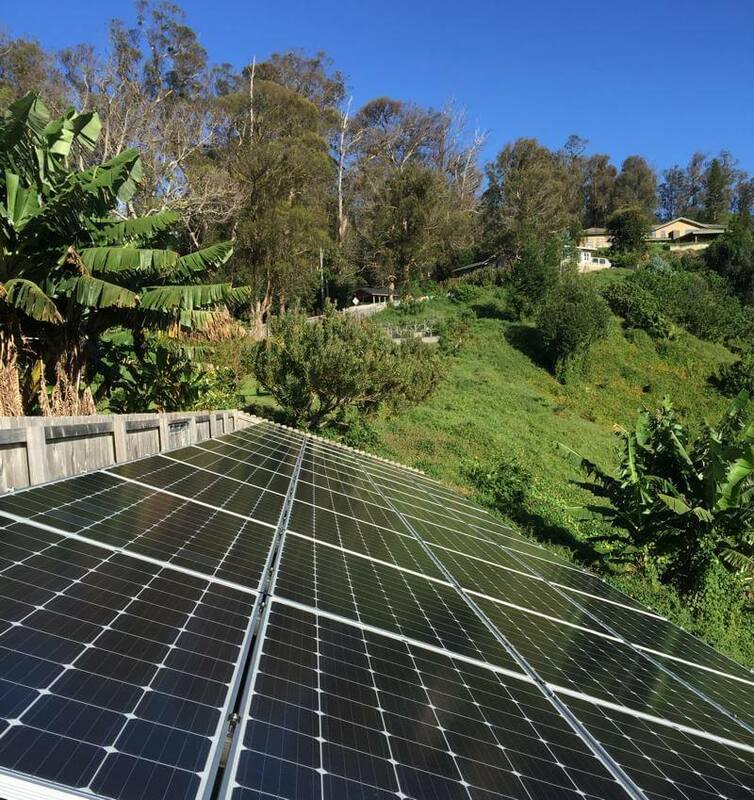 These are the basics of living with an off-grid solar pv system. 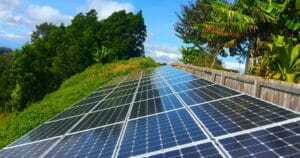 Why Go Off-Grid With Solar? 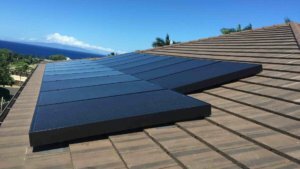 In much of rural Hawaii and Maui, the cost to pay MECO or HELCO to bring grid power to you home, is often prohibitively expensive. In many cases, we have seen that cost to be $30,000 and up. But if you can install an off-grid Solar PV system for even $60,000, it is far more cost effective to go that route. The cost of bringing grid power to your home does not have any tax benefits or financial upsides. Solar PV however, has a combined maximum tax credit of 65%. So, a $60,000 Solar PV system may only cost you $21,000, (BEATING THE INSTALLATION COST OF GRID POWER). Plus you won’t ever have to pay an electric bill. This will likely save you several hundred thousand dollars over the next 30 years. That just makes financial sense. And this has never been the case more than it is now. The price of maintenance free, lithium-ion, batteries has fallen to extreme lows recently and they can last 12 to 20+ years! If you already have grid power, it makes sense to keep it, and use it as a backup to your solar PV system, to handle your peak loads. Your peak loads, such as ovens, ranges and dryers, demand a huge amount of power, all at once. While your average solar system can handle some of those loads, it’s better to allow the grid to handle them. If you are accustomed to living on the grid and you already have it, then we recommend you keep it. The reason is cost. It could take 4 to 10 times the amount of solar PV modules, inverters & batteries, just to handle those rare peak loads. MECO only charges a service fee of about $20, per month to stay on the grid. Also, while those peak loads are high, the total number of kilowatts hours for those loads are low, so this won’t raise your bill enough to justify the cost of quadruppling the size of your Solar System. Even with Hawaii’s high energy costs, it makes financial sense to keep the grid. The batteries can still provide backup power for much of your house, in the event of a power outage. This way, you get “off-grid capability” with the grid as your backup. However, if you have lived off-grid before and are familiar with the energy conservative lifestyle, you are safe to go off-grid. You can always call MECO and get your service reconnected, at a nominal cost.